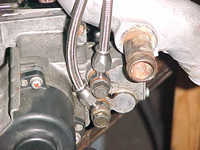 For reliability, it's advisable to replace the stock oil metering pump lines. 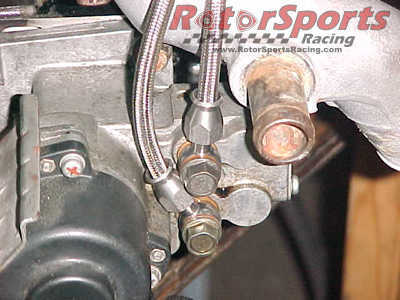 Steel-braided OMP Lines by RotorSports Racing are the final solution to the risk. 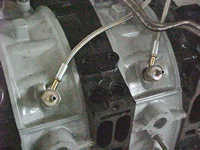 Rotary engine builders know how delicate the stock plastic OMP lines get after a few years of heat and age. 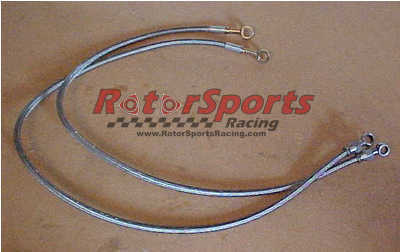 RotorSports Racing steel-braided OMP lines are essential for long-term reliability. Never worry about them. They will last. Available for FC32 and FD3S 13B engines. Call to order! Ask for them as a smart upgrade while we have your car in the shop for service.